2- either no certificates are installed on your computer or there was some exception in reading the digital certificates==> object does not support the property or method 'open'. Failed to open Websigner: Object doesn't support property or method 'open'. Important Note: JRE installed on your system should be of 32-bit irrespective of your system which may be of 32-bit or 64-bit. 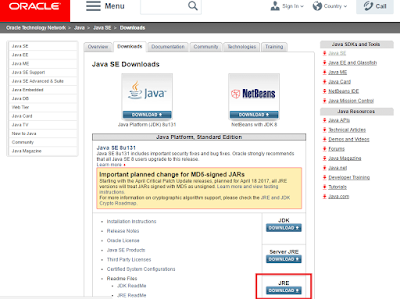 Click here to check the version of JAVA installed on your system. 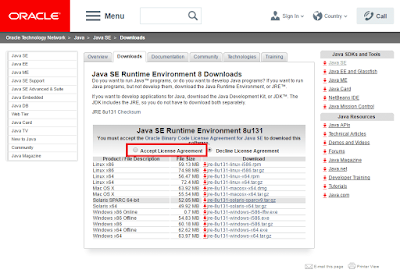 To resolve the above errors you need to install the JRE 32-bit version. 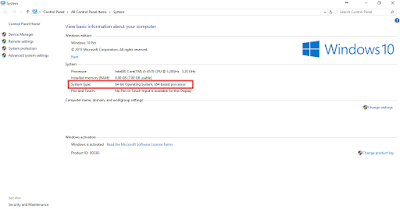 Your Windows Operating System may be of 32 bit or 64 bit. 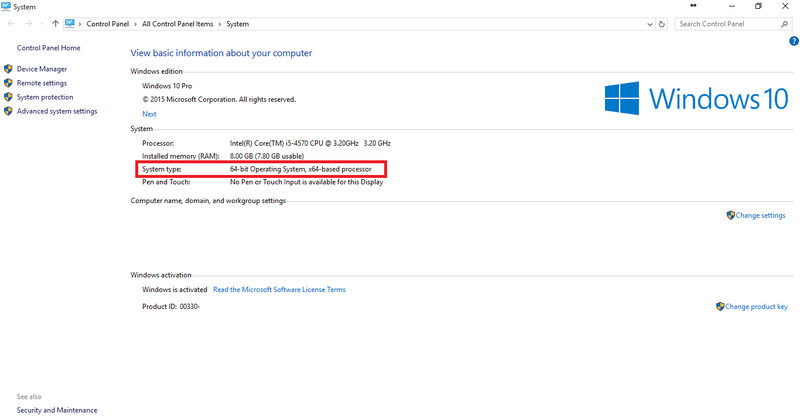 If your Windows Operating System is of 64-bit then by default JRE 64-bit will be installed on your system. My Windows OS in Windows 10 and 64-bit. Open the Control Panel in Large icon or small icon view and check the JAVA icon. 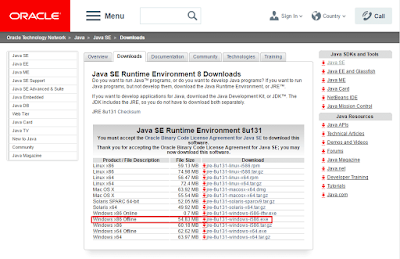 If it is only JAVA then JRE installed on your system is 64-bit. 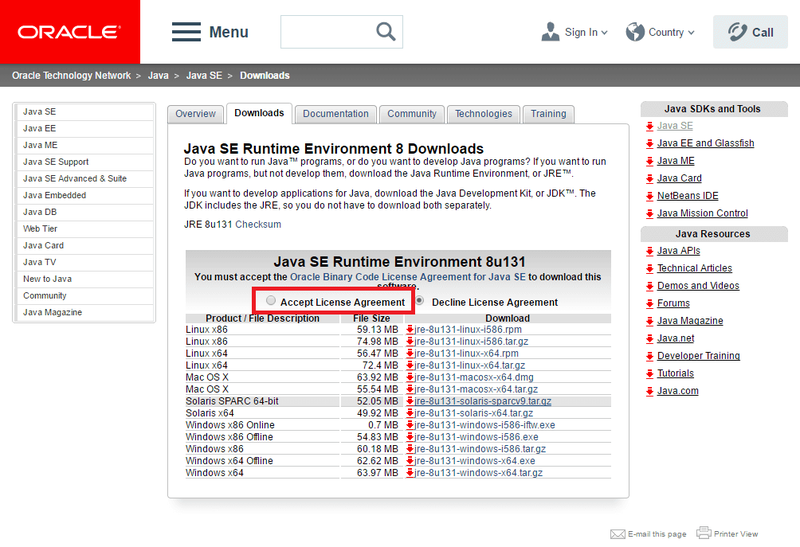 If it is JAVA (32-bit) then JRE installed on your system is 32-bit. If installed JRE on your system is 64-bit then you need to uninstall it download the 32-bit JRE and install it on your system. 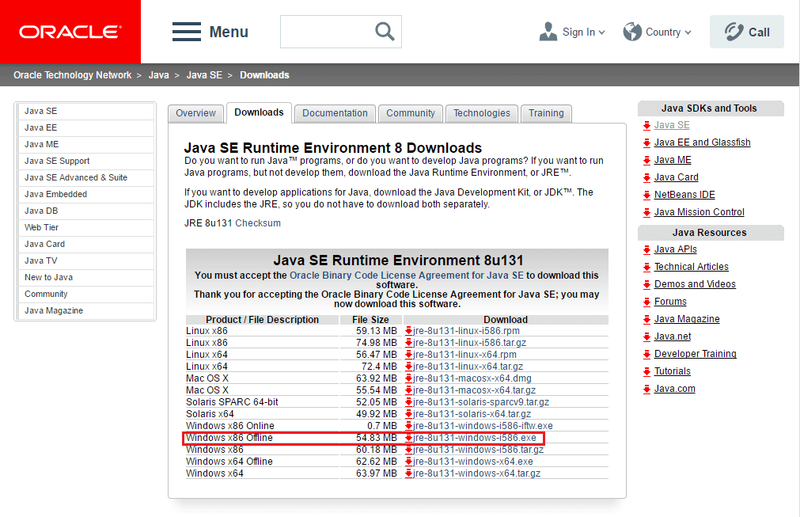 Download the 32-bit JRE: Follow the process given below to download the latest version of JRE. 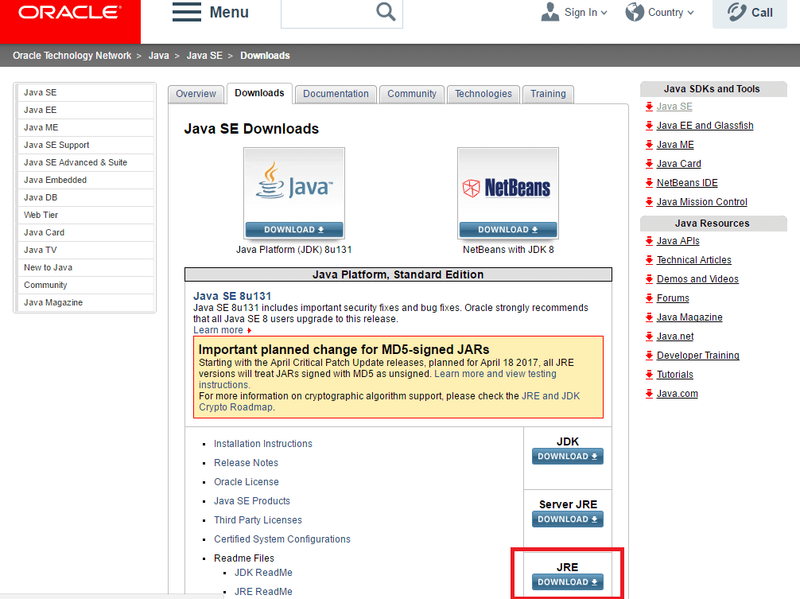 Click on below link to go to Oracle website for JAVA downloads. Click on JRE Download button. Now click on the file link jre-8u131-windows-i586.exe against the Windows x86 Offline to download the 32-bit JRE (Note: x86 stands for 32-bit and x64 stands for 64-bit). Now install the downloaded .exe file and after successful installation again check the JRE version installed on your system. Now try to login on IREPS website and you will be able to login successfully.